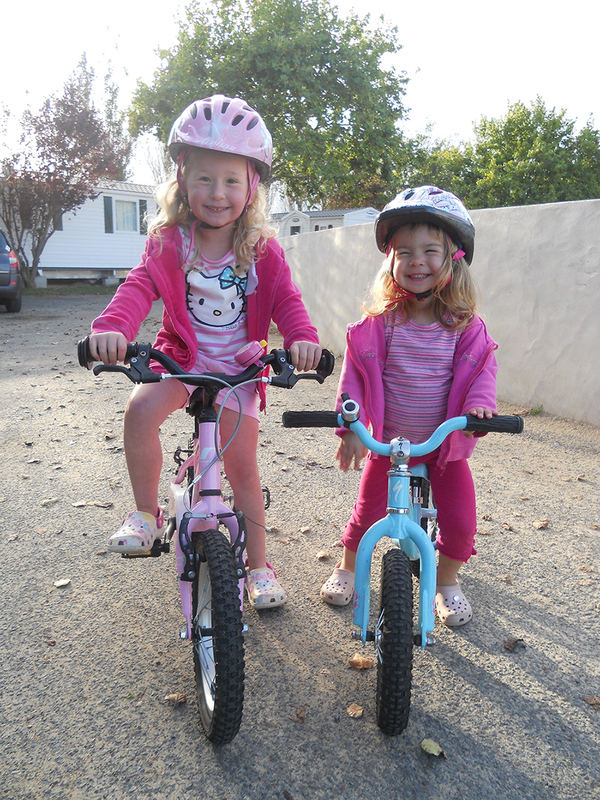 A first bike can be the start of a new favorite game and learning to ride is a fantastic confidence builder, but it’s important to get it right when buying a child’s bike. A bike that is comfortable and fun to ride will be a well-loved toy, whilst a poorly fitting ride risks become a garage bound dust gatherer. How children’s bikes are different to adult bikes When buying your child’s first bike, it’s important to understand that a kid’s bike is not simply a small adult bike. Children’s bikes have a different geometry – meaning the shape of the frame puts them in a different position – and unlike adult bikes, where wheels are usually standardized, the wheels vary in size for children of different heights and ages. The first step is a runner bike- which has no pedals and teaches children to learn to balance on a bike. Making the transition into pedal bikes, wheel size goes from 12-inches in diameter, up to 24 niches for kids around 9-11, and then we move on to 26” mountain bikes and 650c wheeled road bikes for early teens. As the bikes get larger, the distance between the saddle and handlebar gets longer, and it’s important that this is right, to prevent your youngster having to stretch when turning the handlebar, which reduces their control. A longer wheelbase also increases the turning circle, making the bike harder to maneuver if it’s too big. We have a sizing guide online, so check this for more details though bear in mind that it is a guide only. Choosing the right bike Bringing your child to one our stores to test ride a few bikes is one of the best ways to make sure you walk away with a set of wheels that will suit their size. You can order any bike we offer online to test ride and taking a few sizes for a spin may be a good idea provided there is a safe area to do so. 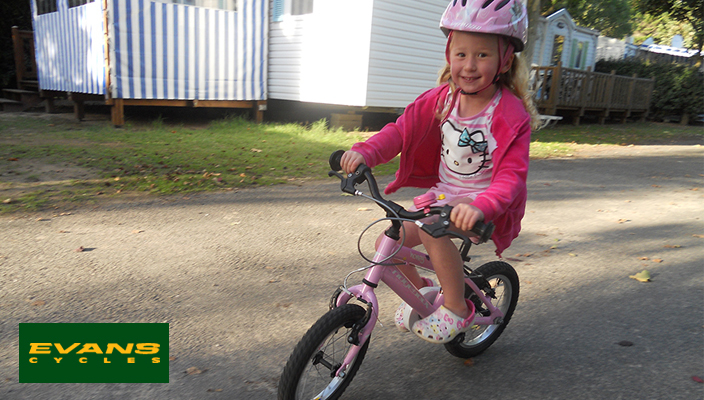 It can be tempting to buy a larger bike for a child to ‘grow into’ – but a bike that is too large will reduce control and can be uncomfortable for your little one, causing the bike to be rarely used – so it’s not something we advise. Child development Technology is always evolving, and just as the design of adult bikes has made big steps in the past few years, children’s bikes are constantly changing, Weight has come down, and the quality of gearing, frame and components has improved. All of these leaps in performance can be seen in the fantastic Pinnacle bikes we stock in 16”, 20” and 24”. We’ve created bikes we believe will stand the test of time, and could be handed down to sibling’s years down the line still in good condition thanks to long lasting components. The frames are made of quality butted aluminum to keep the weight low, and the forks are lighter (made of thin, butted cr-m0). We’ve also put a lot of work into developing the geometry – with a low bottom bracket and a relaxed front end – meaning there is less weight on little hands. We’ve also played some clever tricks with the components – using twin chain plates to avoid the chain from becoming derailed (less change of creasy hands!) and the bikes used rear-only gears which are simpler to use, with trigger shifters which are also easier to use than twist grips (which are stiffer). All that – and we’ve got some great colours in, too, which are fun and gender neutral. Of course, we’ve got plenty more options in a variety of sizes and styles – all our children’s bikes are here and if you’re looking for a 650c wheeler for a child over 11, we’ve had a lovely review from 11 year old Marley of the Major Moda. Topping it all off.. Though it isn’t something we enjoy dwelling upon, we have to accept that even the best of us has a fall sometimes, helmet is a must. As for viability, all bikes come with reflectors and bells – but it could also be worth considering some high-viz gear such as ankle bands – and slapwrap bands will roll to fit any size wrist or ankle. Our 12 and 14 inch (and many 16 inch) bikes come with stabilisers – but if your child is riding a larger bike and still needs a little support these can be bought separately and added. Evans Cycles are currently offering an extra 10% off on kids bikes until 31st July for KidStart users– and we hope you enjoy the discount and find the perfect two-wheeled companion for your child.